Planning to take your fresh organic foods and farming products to the global market? These farm/gardening website templates will help you. The website templates are designed from the business perspective so that you can promote your business like a pro. Big image sections and precisely given text spaces will let you explain the products clearly. 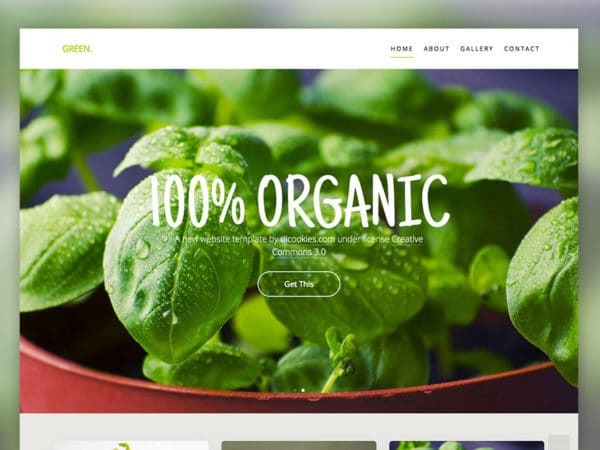 From organic foods to farming equipment, you can make any business website using these templates. If you want you can even seel your product online with these templates. The simple code structure of these templates gives you a strong and flexible foundation. Hence you can make your custom website within few hours with all the features you want. The pristine clean layout will make the fresh green organic products look attractive and let the user feel the freshness in your products. All templates are designed by keeping present-day users needs in mind. Hence your global audience will have a better experience on your website.